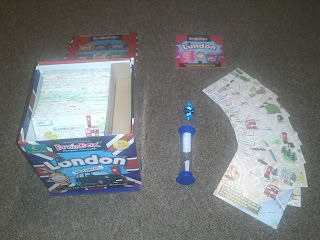 My son loves the BrainBox games and so he was very much looking forward to trying out this one too. As with other BrainBox games, there is no real limit on the number of players, so you can enjoy reading the facts by yourself or play a fun game with friends and family. Each person gets one draining of the timer to look at their card and then they pass it to the person on their right. They roll the dice and the person they have handed the card to reads out the corresponding question. If you get it correct, it goes in your keep pile, if you get it wrong, you put it back in the pack. The person with the most cards after 10 minutes of playing time is the winner! The game is both fascinating and fun for players of all ages. Because you learn lots of fun facts about London along the way. 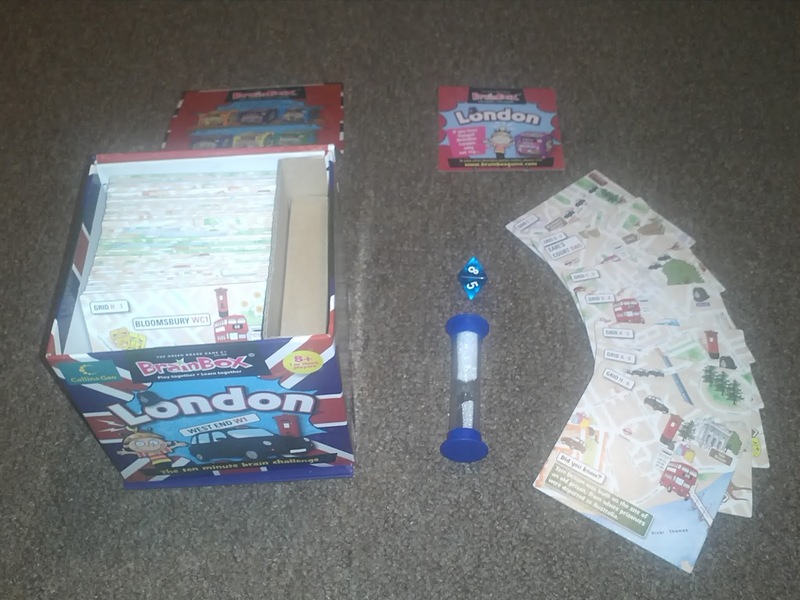 A bonus to the All Around London game is that you can piece it all together to make a huge map of London! It is also the ultimate in quick and easy to play games, as set up time is virtually non-existing. The game is made of a minimum of 70% recycled material and includes 5 illustrated cards, 1 rules card, 1 timer and 1 eight-sided die.